Are You Building Your Empire? Or Theirs? So you’ve decided that you like a certain franchise? You’ve researched it, talked with franchisees, and tried hard to get an idea of how much you could earn. You’re enthusiastic! Anxious to get started! You’re sold on the whole deal. And then they begin talking to you about multiples, regionals, areas, development deals, etc., etc. You don’t know what they’re talking about, but it shows they have faith in you, and you want to do what they say you should do because you have such a good relationship. It is the job and duty of every franchise salesperson (I was one) to sell franchises and whatever else the company tells them to sell. It enhances the cash flow of the company as well as the commissions to the salesperson. As with any sales pitch, it is up to you to determine whether you are buying or passing on the deal. The problem is your emotions. Your level of commitment and excitement in starting up your first franchise is very high, and you’re dreaming of fast growth and ample money. They know that. Although there are many excellent franchises that eventually make money, when you start retail, restaurants, or other businesses that require locations, fast money just doesn’t happen very often. A higher proportion of the early incoming money goes toward rent, inventory and employees in that first year or two. You are competing against others, many of whom have been in business longer, and you’re trying to change firm shopping patterns of your potential customers. It takes time. Probably much longer than you thought. When a franchise salesperson begins talking to you about options on neighboring territories, options for building more units, purchasing an area development deal, and so on, there is usually a time limit on the contract. For example, in return for getting a huge chunk of your city’s territory, you have to promise to build a certain number of units within a certain amount of time. And you’re going to pay something for the privilege of having those future units reserved for you. You don’t know whether you are going to like the business. Many people find retail and restaurants incredibly boring because they require consistency – doing the same types of things over and over every day. Others thrive in the safe feeling they get from consistency. 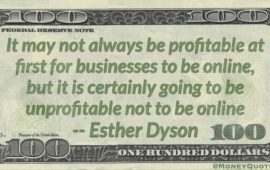 You don’t know when (or if) the business will start turning a profit. What if your dry cleaning business doesn’t break even until the 9th month of business? If you have promised to build three units in 18-24 months, where will that money come from? In most cases it would take at least several years in order to save $100K from a new business to finance the next one. New business owners often want to grab huge territories – the whole entire city! Experienced business people know that trying to advertise to large area all by yourself is impossible. A major reason that franchises often succeed over independent businesses is that they have enough units in a city to be able to pool their advertising money to build brand recognition. You don’t want to reserve huge territories and shut out other franchisees! You want a reasonable number of other franchisees working along with you to develop the brand. To franchisors, option money on multiple unit or multiple territory development agreements is found money – they get to keep it whether you are able to perform or not. Many of them know by looking at your financial sheet whether you could perform on an option agreement. Some make the decision to sell you the deal because they need the extra money from you and illogically hope that maybe you’ll be able to act upon the agreement. How do you know if they are just running up the tab at your expense? Run the numbers. Business is all about numbers, but incredibly, many first-time franchisees and business owners never figure out their cash flow projections and how much they are going to make from the business. When you complete your spread sheet (with information provided by other franchisees), you’ll see very soon how many years it would take you to amass $100K for the next business. A much better plan both for a franchisor and for you is to let you get your first unit up and running without the pressure of multiples hanging over you like a sword. When you find that you love the business and you’re doing well in it, that’s the time to open negotiations for your next unit or territory. Or a smart franchisor may say to you, “You’re doing so well that we want you to be our area developer!” If you have proven your worth, they may come to you with a plan for developing your region, either by building multiple units yourself or finding others to purchase the franchise and giving them your support to get up and running. Smart franchisors like smart franchisees. Be one by using well-researched numbers to guide your decisions. They’ll admire you for it.